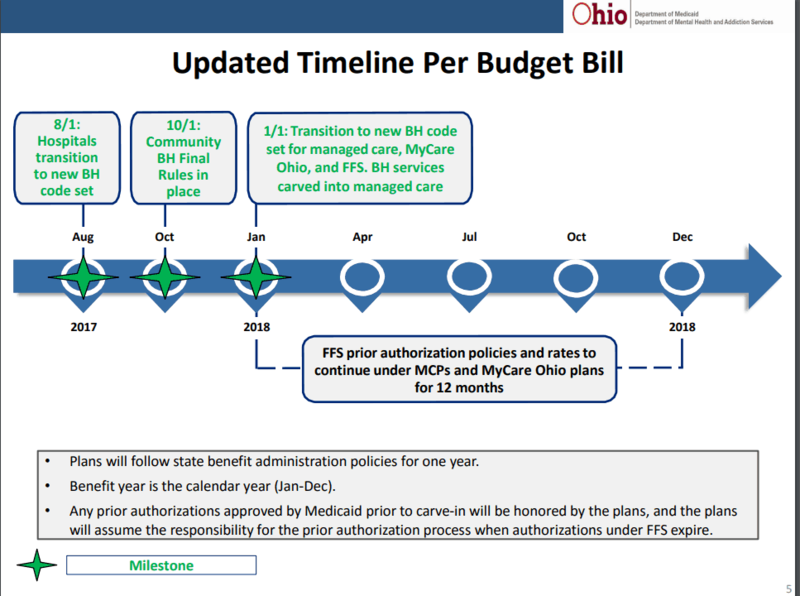 The Benefit and Services workgroup met July 11th and Greg Moody, Director at Ohio Governor’s Office of Health Transformation and ODM introduced the latest track for BH Redesign and the Managed Care Carve-in. The slides are available here. ODM is proceeding with both the redesign changes and carve in to be effective on 1/1/18 which is consistent with how the budget bill ended up when the Governor signed it. The Ohio House overrode Governor Kasich’s veto of carve in, however, the Senate also needs to override that veto in order for the date to change from January 1, 2018 to July 1, 2018. The Senate will return in September and is expected to consider veto overrides then. Today, for the first time, ODM stated that if the Senate acts to move carve in back to 7/1/18, then they may consider moving redesign to that date, too. They believe there are advantages to implementing them at the same time and have heard from unspecified others that combined implementation makes sense. So nuts and bolts are House override doesn’t matter. Even if Senate would somehow approve, ODM may move the date of BH Redesign to align with the Carve-in. 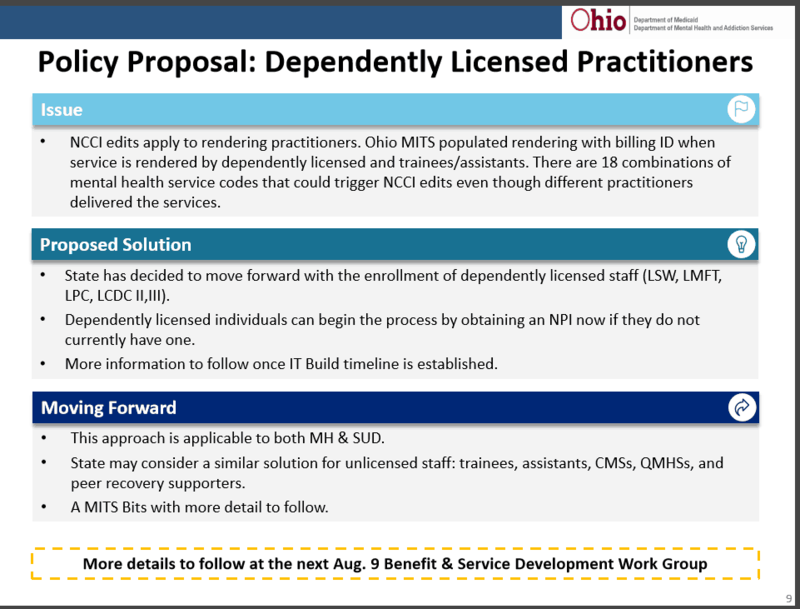 Also introduced was a pretty significant policy proposal related to Dependently Licensed Providers (and maybe unlicensed). Requirement would be that ALL dependently licensed providers would be registered with Medicaid by January 1st. Keep in mind that we still have BH providers in Ohio with NO affiliated providers. Next significant item to note, testing. Testing will reopen October 25th through November 29th. And according to the signed budget, the requirement for 50% of providers to successfully bill and get reimbursed correctly is still in place although not mentioned in the slides. 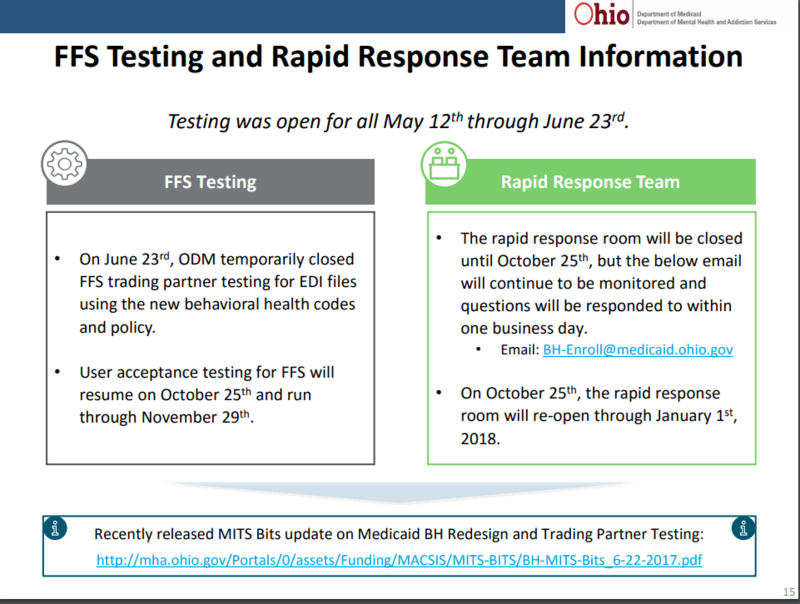 In addition, they are encouraging all providers to begin testing with Managed Care today. All providers should be preparing to test claims with managed care plans now. Contracts and credentialing do not need to be in place to begin testing. Trading partners do not need to have an agreement with plans to begin testing. 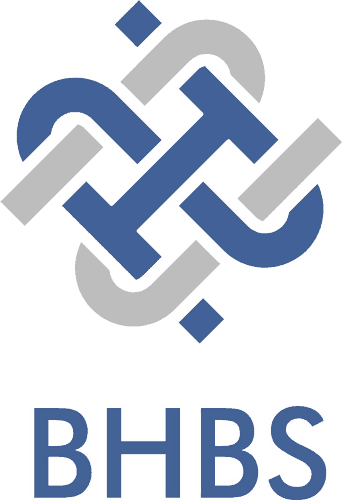 Plans are developing an Intake Process to run parallel with the contracting process. This will allow providers to share their contact and billing information as the only requirement to start testing. As for the House overrides and what will happen next with the Senate, see below. The House’s veto overrides will not take effect unless the Senate also votes to override each provision. Senate President Larry Obhof (R-Medina) said Thursday his caucus hasn’t yet met to discuss its planned course of action or whether adequate votes exist to override specific vetoes. The Senate has if-needed sessions slated later this month, although Sen. Obhof said the chamber’s schedule isn’t finalized. The chamber has canceled if-needed sessions for July 12, 18 and 19, but Sen. Obhof said that he anticipates the chamber will meet “at least once or twice during the summer” to either take up override votes or conduct normal business. So to summarize, most likely, the modifiers we have all been working so hard to reflect correctly in our system won’t be needed because if everyone is registered, there is no need. It’s possible they will leave them in place but we will have to wait and see next Wednesday at the EDI meeting. But the big thing is one of the primary reasons we pushed for a delay was late policy changes that reflect functionality changes for vendors. Now we have more. And of course the fact that the House overrides are not at all impacting the course of the Redesign because the Senate does not plan to address anytime soon.